An ISO 9001 : 2008 certified Engineering Design, CAD/CAE Services & Solutions providers for global Engineering & Manufacturing Companies across verticals in their product design & development process. We support global OEMs & Tier 1 companies with cost effective engineering design, CAD/CAE services & solutions in short and long term projects, which helps your R&D, Engineering design team in quick project execution with low cost, good quality & standard. No minimum order / volume requirement - We strongly believe in the philosophy "All BIG things start small". Hence there is no restriction on minimum volume or project size. “This was our first time working with Ace Brain Technologies and the experience from start to finish was flawless. What impressed me was the close collaboration between their sales/ project /engineering teams. Nothing was lost in translation and project and feedback from each person working on the project was in real time and discussed as team. I liked that everyone knew what was going on”. "Awesome Awesome job !!!!! I'm speechless .... I am so happy right now..... wonderful job. I'm just so excited right now I can't think.... finally a working product… thanks to you guys.!! Thanks. GREAT JOB! !" Head - Global Business, a leading manufacturer of heat exchangers, condensers and evaporators in TURKEY. " 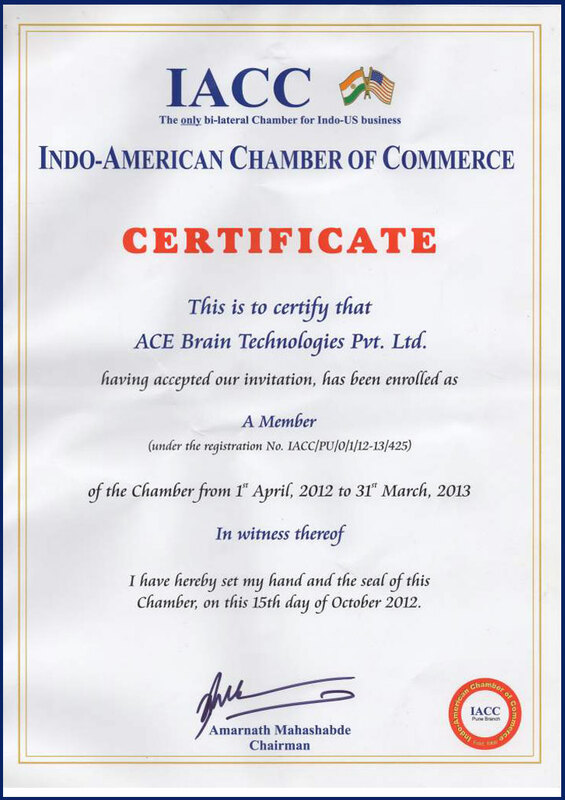 "We are happy with the current services offered / good reactivity received from Ace Brain. I am happy with the hard working nature / technical capability of your designers. In near future, we have many projects expected which we will also request your services." "Ace Brain has not only worked with us to develop parametric 3D models and 2D drawings of our newly developed engine, but they have an ability to take our vision a step further and to anticipate our needs for the future. All of this is done in a professional, efficient courteous manner. I would not hesitate to recommend them to anyone. 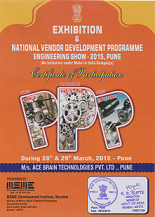 Vice President – Automotive R & D, Engine and Gear Box Manufacturers." "We have trusted Ace Brain with our critical mining equipments developments. Ace Brain supported us for Cabin ROPS/FOPS, Boom, Chasse Frame design validation & Full M/c Dynamic Stability analysis using FEA tools & their Engineering expertise. We found the entire Ace Brain team to be technically competent, enthusiastic, professional, and easy to work with, and have the ability to clearly understand our business requirements. They have consistently delivered high quality solutions for our business and I appreciate and would be happy to recommend Ace Brain. Engineering Manager – A leading Mining Machinery Mfrr in the World." 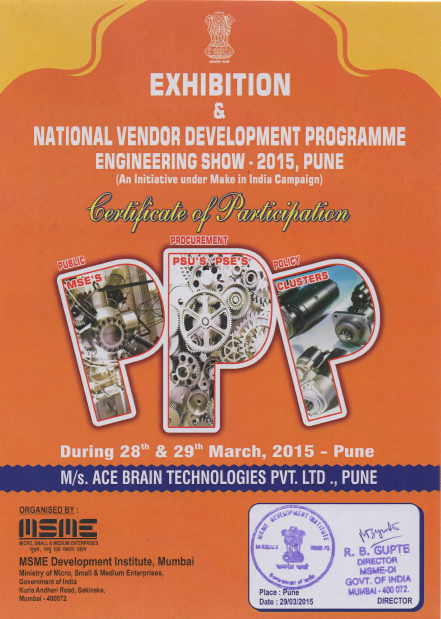 Ace Brain participated in NVDP Engineering Show – 2015 at Pune, India on 28th & 29th March 2015. 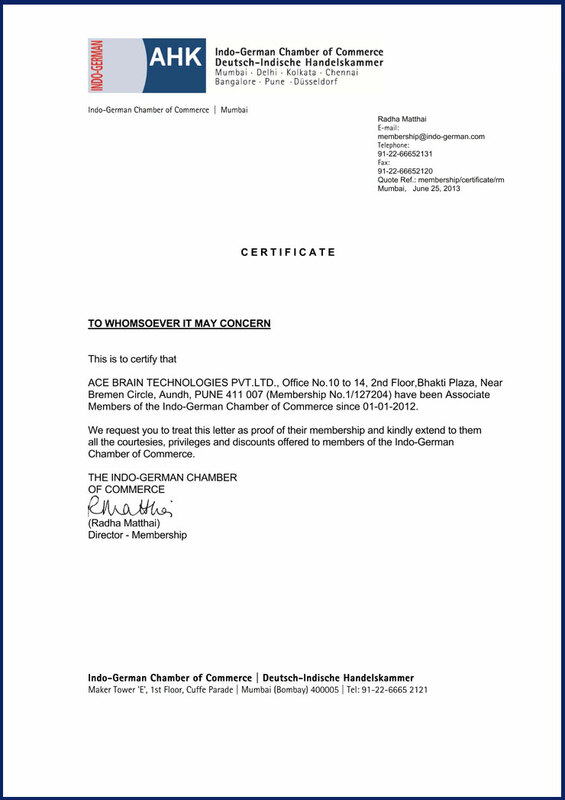 Ace Brain signed a 3 year contract with a U.S. Engineering Company to support them for all their CAD, FEA & CFD Projects. 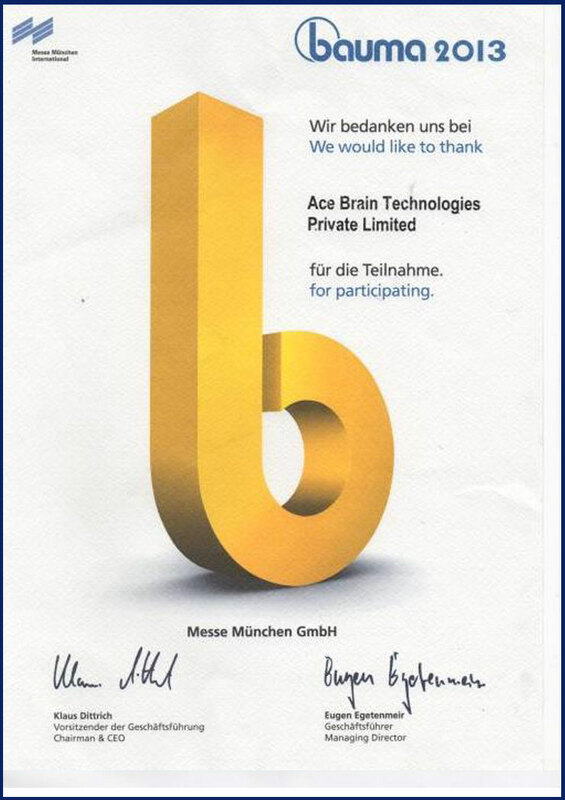 Ace Brain participated in Bauma 2013 at Munich, Germany from 15th to 21st April 2013 to showcase the Engineering Design, CAD/CAE capabilities. Ace Brain participated in 14th International Construction Equipment & Special Vehicles Fair “MASZBUD” from 8th to 11th May 2012 at Kielce, Poland. Address: 5407, Maverick Point Lane, Katy, Texas 77494, USA. Sr.Design Engineer - 3 to 5yrs Interior Design/IP /Door Console/Centre Console.